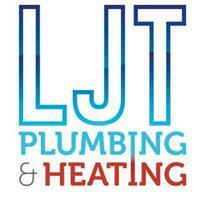 LJT Plumbing & Heating - Plumber based in Queensbury, West Yorkshire. LJT Plumbing & Heating is a two man band based in Bradford, but we do cover all over west yorkshire. We do 24 hour call outs on all your plumbing & Heating needs. We have been running as a business for just over a year now but we both have over 7 years experience combined. We specialise in bathrooms & wet rooms but don't hesitate to give us a call anything that is plumbing & Heating related. We also do wall and floor tiling to a very high standard.